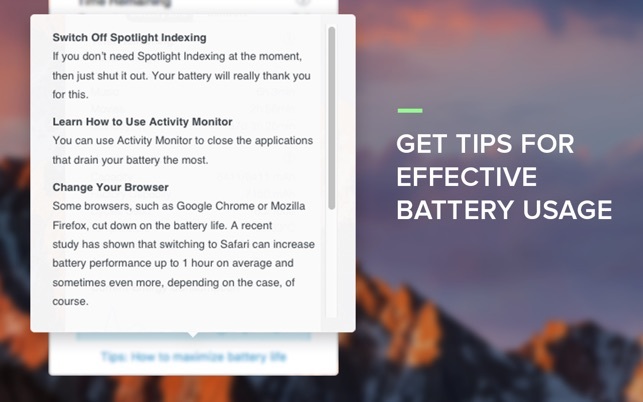 Get notifications when the health status of your battery changes. 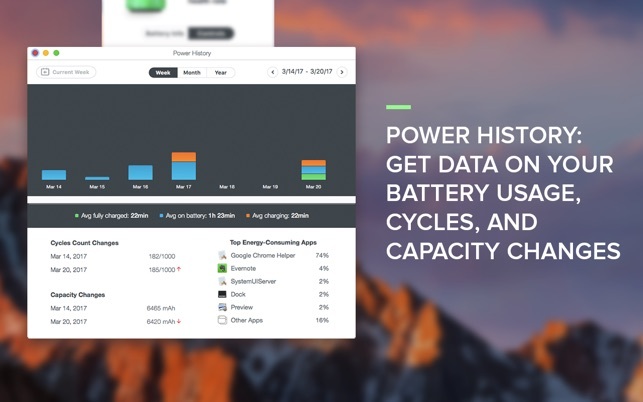 Get an estimate to charge to 100% every time you start charging your Mac! 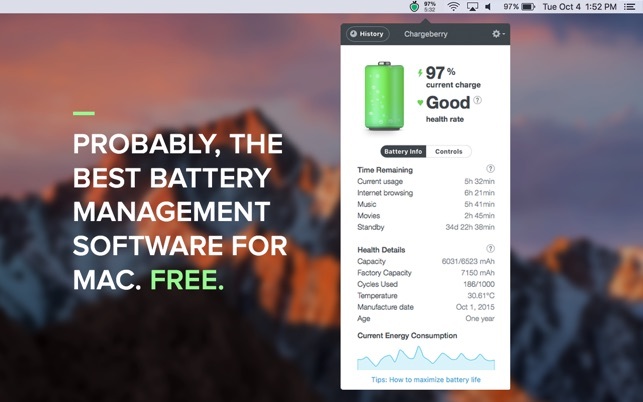 Send your feedback to support@chargeberry.com. We appreciate it! My macbook air battery died after only 300 cycles. I started paying attention to ways I could improve my battery life. Learned about the 40/80 rule, and started looking for easy ways to keep track of my battery charge. This is the most beautiful and well designed app I have found, and it has a nice alert when my charge drops below 40%. But there is no alert telling me when my battery has charged to 80%. So I still “overcharge,” even if I’m working on the computer with the app running. I ended up spending 2.00 for an app that notifies at both ends. Too bad, because this is really elegant. Easy to set up and use, nice UI, provides useful information. The only problem I’ve had is that sometimes it stops working and disappears from my menu bar. I haven’t quit the app or restarted my machine, so I’m not sure what’s causing this. I didn’t notice the first few times until the 5% warning popped up on my screen and I looked for Chargeberry and saw it wasn’t running. I subtracted one star for this reason, but I’d still recommend it. Just keep an eye on your menu bar to make sure it’s still running. 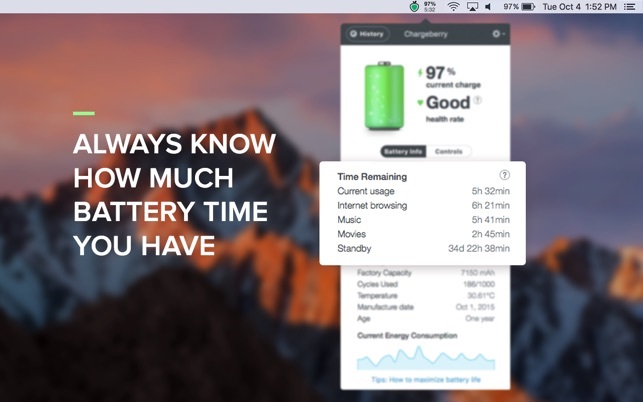 I have been using the Chargeberry app for several months, and I find it very useful, convenient, and helpful in monitoring my MacBook Pro battery usage. The app was easy to install, is easy to read and to follow, and it makes keeping track of what is going on with my battery easy peasy. 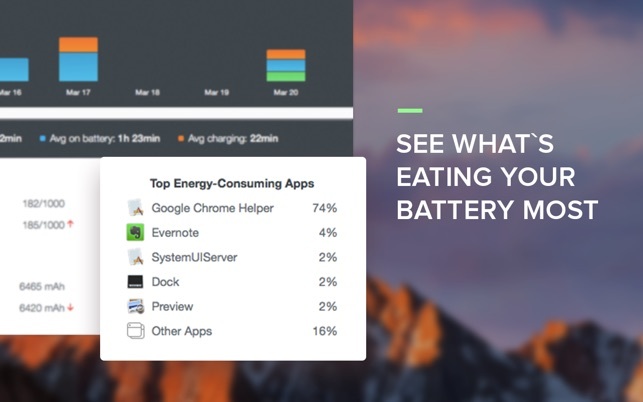 I highly recommend that laptop users monitor their battery use and life regularly, and the Chargeberry battery app makes that a breeze. © 2017 Kromtech Alliance Corp.